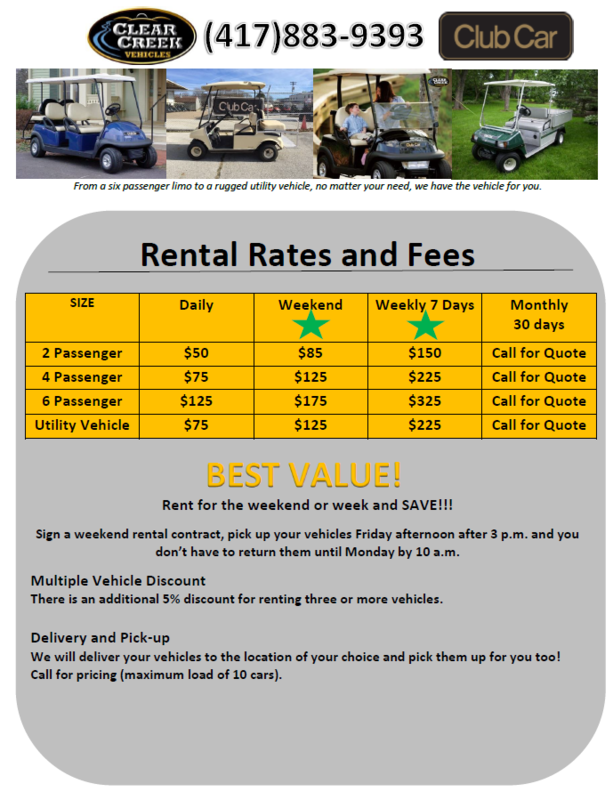 We offer a wide variety of utility rentals and golf car rentals. We offer delivery, pickup, and chargest vary upon distance from our store. Please call Ann at 417-865-3773 if you have any rental needs. We rent golf cars in Arkansas, Table Rock Lake, Lake of the Ozarks, Branson, Springfield, and Joplin. If you are anywhere in between we offer golf car and four wheel drive rentals as well. Our 4wd utility rentals we offer in 2-passenger and 4-passenger setups.